Well, I am back from Seattle and definitely still dreaming of the town nestled between pine trees, with shops and restaurants stacked on hilly streets and the salty sea surrounding the gorgeous charming victorian homes…. 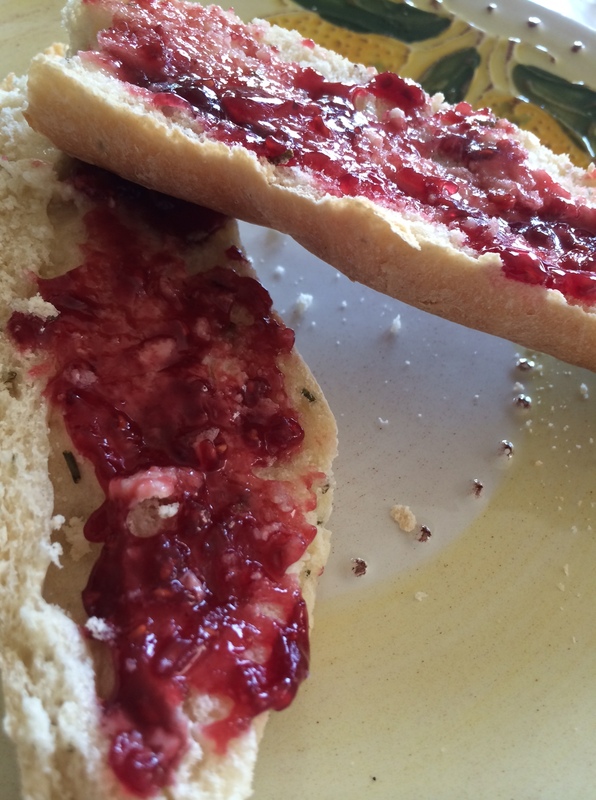 I just think of all the diet gurus saying “No, that is all white carbs with sugar from the jam and no protein.” Well, my argument is, it keeps me energized and I feel great until lunchtime. It feels light and pleasurable to me…plus I get a little protein from the milk in my coffee 😉 There are times when I add fruit but not everyday. I make my baguettes with organic flour, yeast, water and sea salt. How bad can that be?! 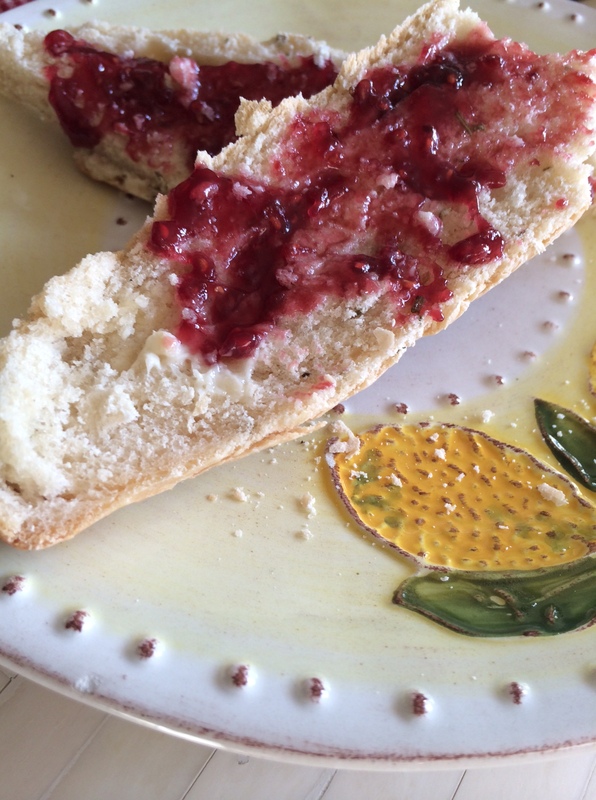 Anyways, I am excited to post more bread recipes to this site…for now if you want to make baguettes in just 3 hours total time…go the the recipe section on this site. Enough about the baguettes, the other night I made the most incredible warm kale salad that I have to share with you! I was dreaming of a warm duck salad with a poached egg that I had ordered in Paris and wanted to do a recipe with the same textures and tastes but with a twist of course. A poached egg with the runny yolk coating the sautéed greens and a hunk of country bread to soak it up… so incredibly satisfying. Yes ladies and gentlemen this was divine! This salad starts with caramelizing a red onion, browning some chicken apple sausage, adding in two very large handfuls of kale and topping it off with a poached egg and balsamic vinegar. Seriously make this! So simple. I needed to make this dinner fast…It was a not enough time in the day type of moments so I microwaved an egg to poach it. Yes, microwave…here’s how. Add 1/2 cup water, 1/4 tsp salt, 1/4 tsp vinegar to a microwave safe bowl. Gently slide in your cracked egg. Microwave for 2 minutes, 15 seconds. Let sit in the bowl surrounded by the water for 1 minute. Carefully (egg is very delicate) spoon out your egg from the bowl with a slotted spoon to drain the excess water. My egg was perfectly poached from this method …amazing! Start by sautéing your onion in olive oil…10-15 minutes until caramelized and golden brown. Salt and pepper your onions. Do this over medium heat. 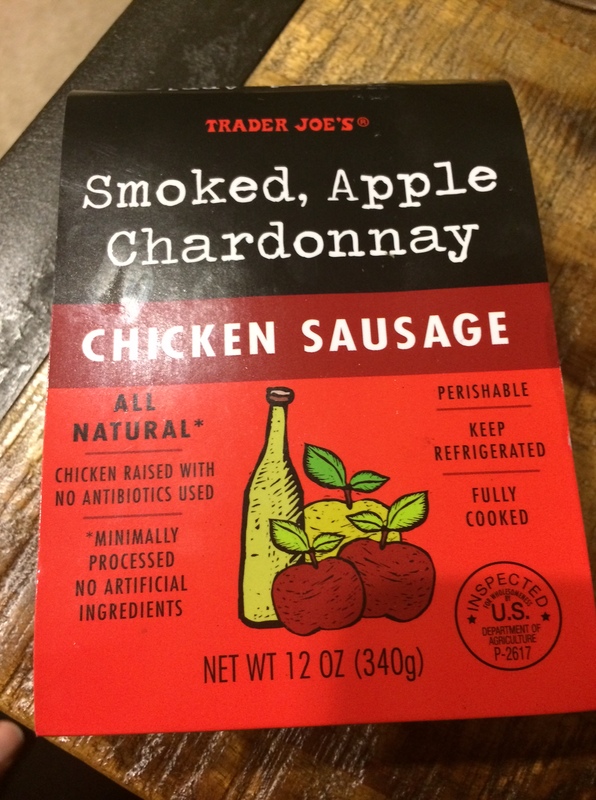 Add your chopped chicken sausage and sauté for a few minutes. Then add in your raw kale. Sauté until wilted, about 5 more minutes. Salt and pepper your dish again- trust me! Meanwhile poach your egg. 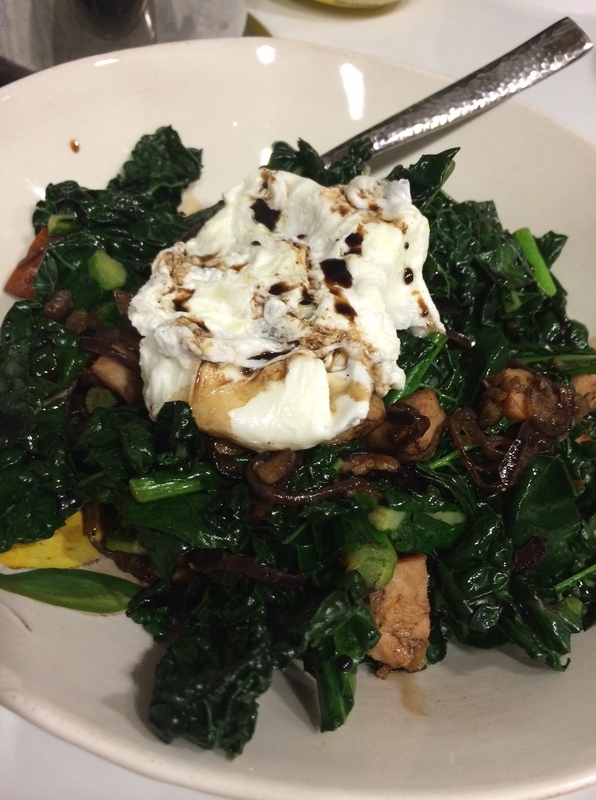 Plate your kale sauté, top with a poached egg and drizzle balsamic vinegar over the entire dish. Enjoy with some crusty bread! I am heading to San Francisco today! I will be attending a Fancy Food Show…excited. Hopefully I will post from the city! Have a great weekend everyone! Evelyn! The dinner you are preparing sounds wonderful! What a lovely evening you are going to have! Thanks for the delicious kale salad recipe !! Such a simple pleasure reading your blog Krista. 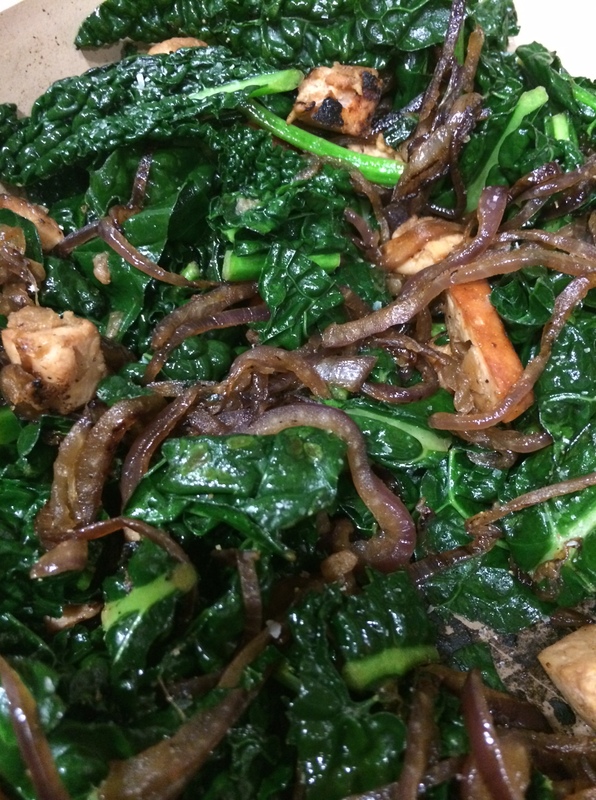 I love this kale recipe and l anticipate the next one.